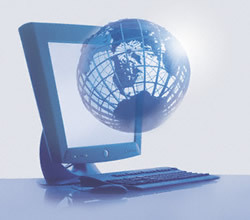 Electronic Banking Systems EFT provides ACH processing services and electronic payment systems to businesses of all sizes. Our primary service is Electronic Funds Transfer of Funds (EFT) from a customer to a merchant bank account, including Check by Phone EFT and Direct Deposit for paying employees and vendors. 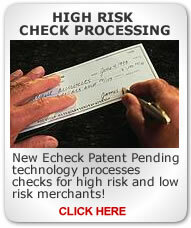 EBSEFT works with hundreds of check recovery and collection agencies to electronically collect on their NSF paper checks checks using RCK processing and Consolidated Check Returns. Our services include Point of Sale Check Conversion for retail customers and electronic Check Verification services. We provide Credit Card Processing using our state of the art Virtual Terminal which provides for recurring processing of monthly debit files. Many of our clients start off using Q~Check - an easy to use check by phone or fax check printing software. services at very competitive pricing. rates and echeck services available for each merchant's business type - we are all about finding the best services available for our clients.